FORMUFIT 1-1/4 in. 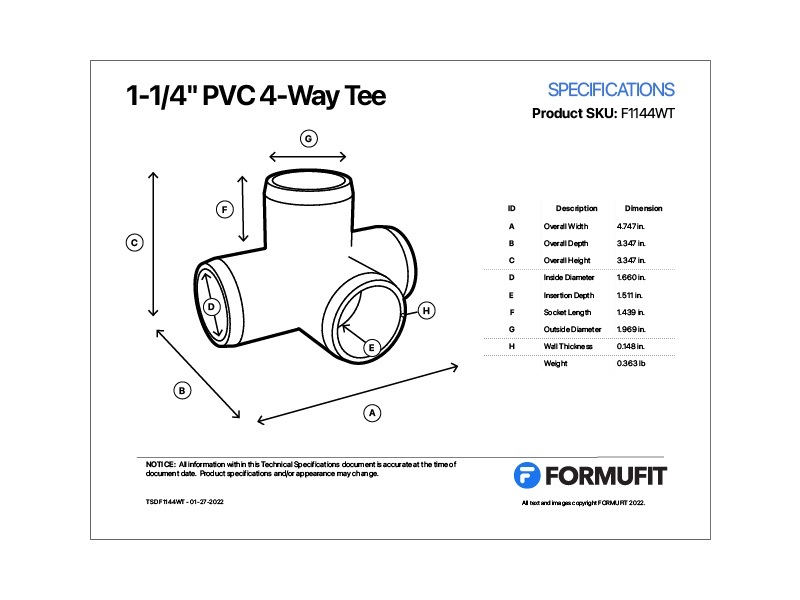 4-Way PVC Tee Fittings are an easy solution for offset or tiered structures made from PVC pipe, giving your projects the additional dimension it needs. 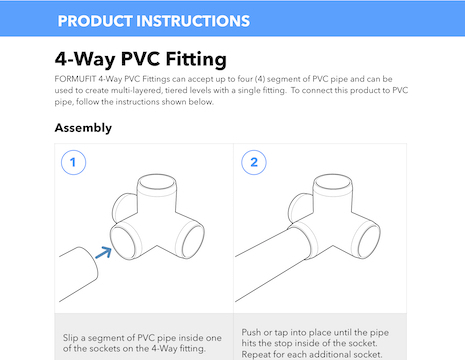 This structural Furniture Grade PVC 4-Way fitting connects 1-1/4 in. 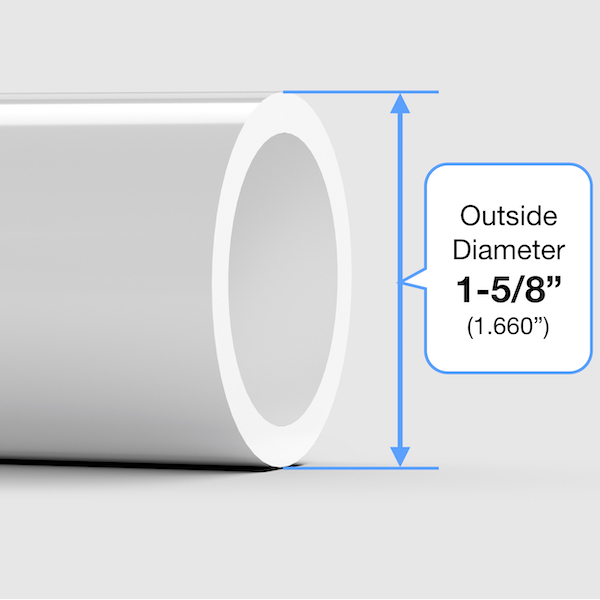 Size PVC pipe at four points on multiple planes for multi-tiered connections. There are three sockets on the same plane, with a fourth to allow perpendicular connections, delivering capabilities you wont find with plumbing-grade fitting options.